Tenikwa represents the core of a conservation philosophy spear-headed by Len and Mandy Freeman who opened the Wildlife Rehabilitation Centre in Plettenberg Bay in 2002. 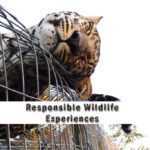 Tenikwa admits some 230 injured or abandoned wild animals annually and where possible, these creatures are released back to nature in conjunction with wildlife authorities. Rehabilitation is the immediate intervention to treat and return animals displaced from the wild. 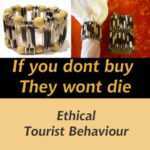 Conservation Awareness about the reasons why animals land up in rehab centres and sanctuaries as well as the influence humans have had on their habitat produces longer-term change of behaviour. Both initiatives in context of supporting Biodiversity have a crucial role to play in conservation. Throughout all our messages, our programs,activities,and tours and through the community projects that we support, you will see a common thread of Biodiversity as it is futile to protect one single species without protecting the eco-system in which it lives. Only once we grasp the concept of our inter-connectivity, we can start to formulate sustainable solutions to these complex conservation challenges. In South Africa, there are many conflicting conservation issues and there is never a single, simple solution. As a rehabilitation facility, we have to deal not only with climate change and habitat loss but also impacts to wildlife caused by poverty, economics, cultural, greed, intolerance and ignorance. Some of these very real challenges cannot be completely addressed in our lifetime, but having a Conservation Awareness Centre open to the public gives us the opportunity to have a conversation about these issues in a non-confrontational atmosphere, allowing visitors to understand the converging and acumulative effect to wildlife. Only when we start sensitizing the greater population to the need to change, will we begin to see true conservation achieving results. Until then conservation will always be seen in conflict to greater humanitarian needs.